We are looked upon as one of the well-reputed Metal Conveyor Belts Manufacturers in India. 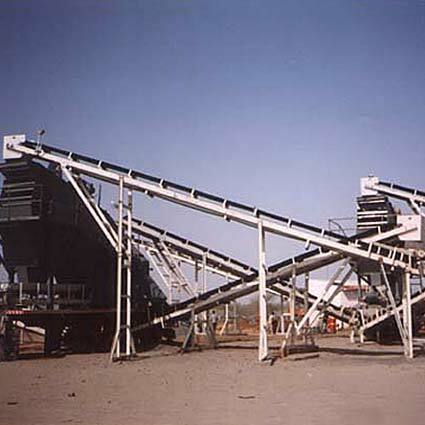 Various national as well as international clients are placing bulk orders for the Industrial Conveyor Belts due to the unmatched quality and unsurpassable performance in respective applications. 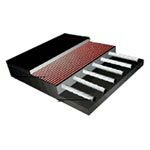 The array of the Conveyor Belts includes belts ranging from 50 mm to 2000 mm meeting the requisites of the applications. 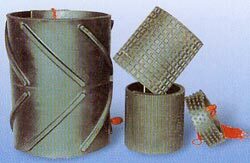 The Flexible Sidewall Conveyor Belt is also available in grades like N-17, M-24 SAR, HR, SHR, UHR, CMR, OR, Food Grade, FR etc. with single ply to seven ply in Nylon/Nylon, Cotton/cotton, synthetic Carcass, Cotton/Nylone, N/NEP reinforcement with rating from 200/2 to 2000/6. 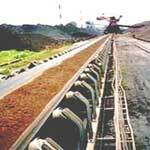 Bohra Screens & Perforaters are manufacturers and suppliers of rubber conveyor belts in India. 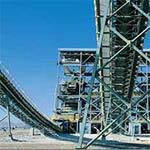 â��FLEXER,â�� conveyor belts constitute nylon/nylon (NN), polyester/nylon (EP), cotton/nylon (CN), cotton/cotton (CC). 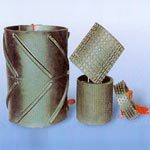 It has carcass with straight ply, stepped ply, reverse stepped ply, breaker ply and â��edge-lockâ�� where required. 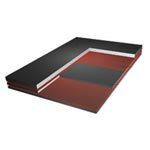 The above constructions, with a wide range of protective rubber covers, are manufactured in widths up to 1800 mm in a most modern automated plant, using the finest raw material inputs. Besides having the advantages as listed for NN carcass belts, EP belts have the additional advantage of lower longitudinal elongation. 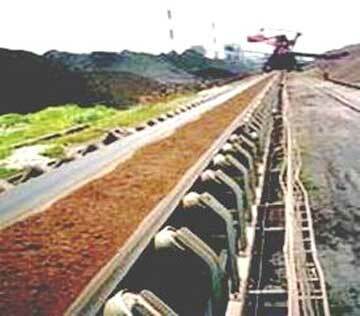 paper pulp, rice husk, bauxite, foundry sand, mud, fertilizer etc. that conforms to I.S. : 1891 and DIN German standards. Special Belts such as chevron cleats, side wall cleats, full width cleats, and rough top are manufactured to handle bulky material/packed bags at high inclination. 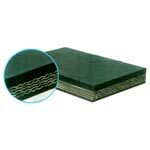 Range comprises of 250mm to 1200mm widths, 2 to 12 ply, in all cotton/nylon/E.P. carcass and different cover grades viz. M,N, HR, Super HR, Hygienic, in open end lengths or endless to requisite size. Flexible Light Duty Nylon Conveyor Belts & PVC Coated are also offered. Hot Vulcanising (Belt Endlessing) is our Speciality.